For most of us, it is hard to think straight when we’re hungry or if we’ve had an emotional or stressful day. Many of us go for convenience, rather than cooking or eating something at home. This is especially true for teens! Their brains are on focused on sensation-seeking—they want the reward now! Not later. And, they want it to be gooood. And, this isn’t even their fault. It’s just that their brain development drives them to seek out momentary rewards in adolescence. Fast-food was created to be faster, easier, and everywhere. Plus, getting food out can mean time away from home, which feels like independence, and more time with friends, which is also exactly what teens are craving. Speaking of cravings, teens want to have intense experiences, again because their brains are wired this way during this time of life. This means that they can easily gravitate toward legal substances that alter or intensify their experience like caffeine and sugar. Teens may drink multiple sodas in a day, scarf down energy drinks or even just load up at Starbucks on the Venti Caramel Frappunccino with extra caramel, extra whip cream with an extra shot of espresso. Whew, I feel a little light-headed just thinking about it! Of course, as a parent, you want your teen to be as healthy as possible, both in what they eat and in how they think. You know all that junk isn’t good for them, but it’s tough. You probably also know that if you try to dictate what they can or can’t eat, it’s not going to go very well. Your teen might just end up eating even more junk to spite you. Naturally, you also want your teen to develop healthy, positive beliefs about their body and their health. Be mindful of your patterns with food. If you or your teen are aware that eating fast-food sends you into this berating, judgmental cycle, maybe you won’t eat it as much and have healthier options in the freezer for the nights when everyone’s busy and doesn’t have time to cook. Or, meal prep on a day off from work or school. Get the whole family involved. You can call it “family time,” and get your kids or teens to help pick out recipes they’re interested in. Then, everyone can help prep and cook. Teens are way more likely to eat healthy food if they have a say and some sense of control over what they’re eating! Mindfully eat. Try slowing down and enjoying your food. Taste the texture, the flavor on your tongue and the crunch of your bite. Stop and taste your food. It is surprising how difficult that can be at times. Many families eat mindlessly, either conversing at the dinner table, watching TV or playing on their phones. When we start to eat with intention, it is incredible how much our senses open up to the experience. You can incorporate this into a family event as well. If life is really hectic, start with what’s reasonable. Maybe see if one night a week everyone can sit down and eat together. Then, take a few minutes to talk about noticing the food with all your senses. Your teen may laugh and roll their eyes, but they might also find that they enjoy it, whether or not they tell you that. Mindful eating is a fun way to incorporate more mindfulness into our lives—since we all gotta eat anyway. Plus, research tells us mindfulness is great for healthier living. Model and practice being gentle with yourself. We are human. You’re gonna indulge the desire for a massive slice of cake or that extra slice of pizza. And that’s okay! Beating yourself up can sometimes make those feelings of shame and guilt worse. In fact, it can even be important to indulge occasionally. Making any food “off limits” or “bad” tends to make us want it more or leads us to binge on it when we do get to have it. Practice asking yourself—Am I really hungry? Tune into your body. Sometimes we eat due to stress or avoidance of emotions. The next time you open the fridge, pause and check in with your emotions. Are you feeling stressed? Anxious? Depressed? Are those the reasons you are reaching for food, to avoid dealing with these tough emotions? Teens can eat for the same reasons. While I don’t recommend asking your teen these questions, you can model using healthy coping skills for dealing with difficult emotions and focus on eating to nourish your body. Teens absorb and then carry out a lot of what they see practiced at home, whether or not they’d ever admit it. Have healthy and tasty snack options in the house. As I’m sure you know, teens are growing and can eat a lot. When they have friends over, they’re also likely to snack. Stocking your pantry and fridge with tasty and healthy snacks also helps set the tone for healthy eating for everyone. Plus, if there’s good food to eat at home, it can be less tempting to grab something out! Food can be such an amazing part of our lives, sometimes dynamic and sometimes packed with emotion. It can be addicting, comforting, bad for us, and pleasurable. Whatever our age, we truly are what we eat, think and believe. See if you can implement the above steps or other ideas you have to create a home environment with healthy, realistic eating practices. This will go a long way in laying a healthy foundation for your teen and your whole family for years to come. **If you’re worried about your or your teen’s mindset or practices around food, it’s okay ask for help. 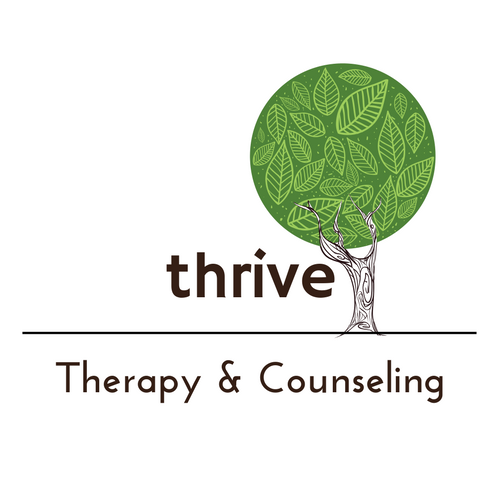 Connect with our therapists today for support!